This is highly uncommon. 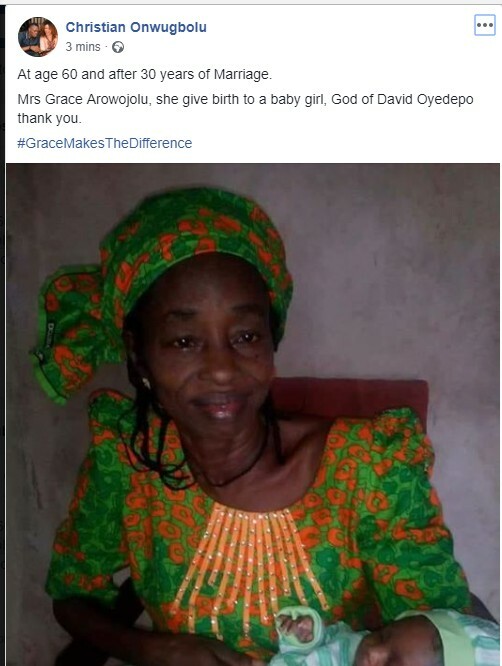 According to multiple online reports, a 60-year-old woman identified as Mrs. Grace Arowojolu, gave birth to a bouncing baby girl after 30 years of marriage. 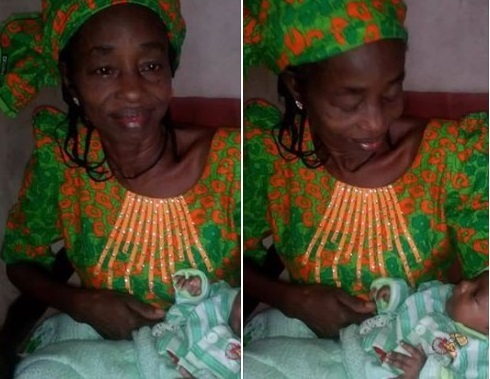 The woman was pictured carry the new baby after the 'miraculous' delivery. Congratulations to her. 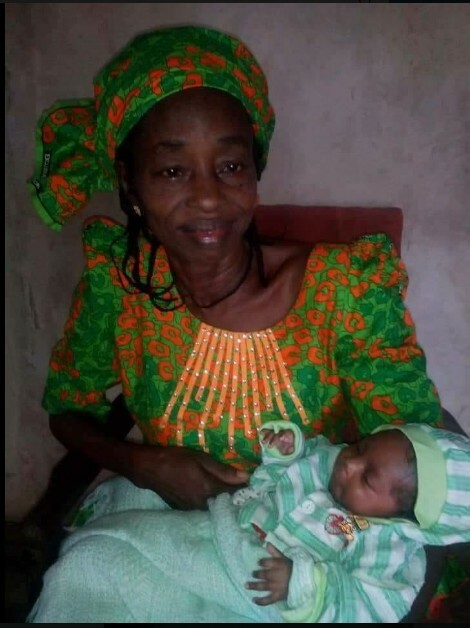 This is happening months after a 67-year-old Francis D and his 63-year-old wife, Margaret, 63, a native of Zawan in Jos South Local Government Area of Plateau State, welcomed their first child in February.. 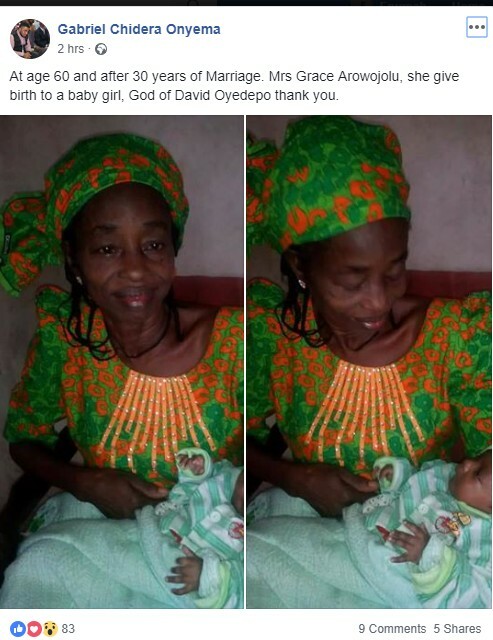 The baby girl came through Caesarean Section at the Gynaeville Specialist Hospital, now ALPS Hospital, 38 years after they had been married. “This is not my first attempt to have a child. I have undergone many surgeries and have done the treatment in different hospitals outside Plateau State. This is the fourth time; three times in other hospitals”, the 63-year-old mother said.